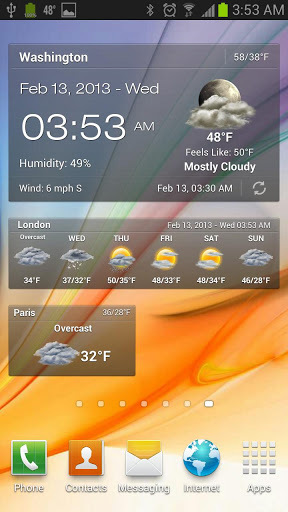 Android Weather & Clock Widget ~ Android Forever! 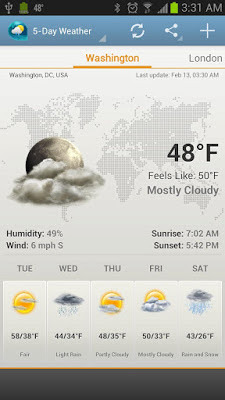 Developer quote: "Android Weather, the quick and accurate weather app, provides detailed weather for all cities worldwide, it searches your address and locates cities quickly, and provides the current temperature, current weather condition, humidity and wind speed and direction, in addition, five, ten days and hourly weather forecast. Android Weather, is 100% free, and it comes with many cool widgets, portrait and landscape user interface." 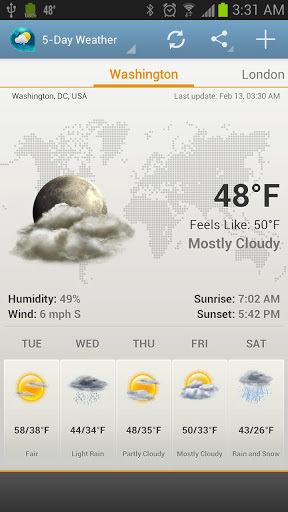 Have I told you before how much I love weather and clock widgets? I adore them, which is one reason I cherish my Android phone, since my iPhone can't do widgets. So I have a few of them on my device and tend to switch them out every so often on my main screen. I found this one just yesterday, very simply named, but highly attractive and info-rich without being busy.